This guidebook provides a comprehensive overview for those who wish to explore the stunning River Wye. 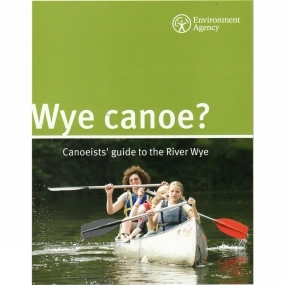 It contains the latest practical information to help plan your paddling journey, including:� A series of 12 waterproof maps, based on OS data� Navigation and recreational advice� Advice on health and safety� Information on where you can launch and land� River grades for the Wye � Tourist information on local parking, refreshments, camping and useful addressed and telephone numbers.The guidebook is published by The Environment Agency which is the navigation authority responsible for the rivers Wye and Lugg - it is the Agency's job to look after the environment and navigation for these rivers. It is ring-bound for ease of use and printed on waterproof paper.